Looking to captain a boat? This boat rental will put you in the driver's seat! 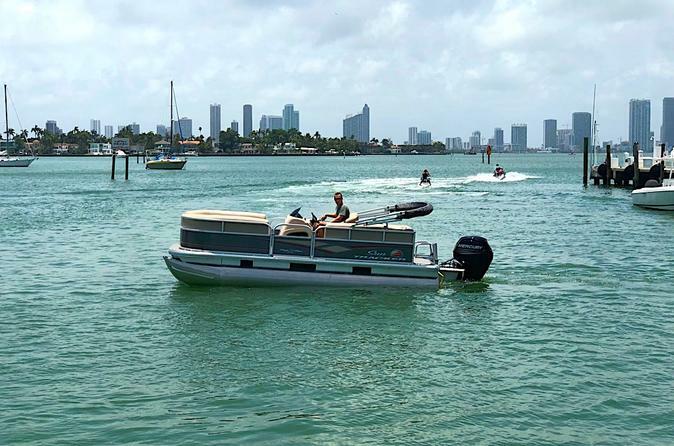 Rent one of our boats and enjoy the boating in Miami at its best. Our staff will provide a short training, explain what to do and where to go. You can be cruising around the Star and Palm Island in no time, see the houses or rich and famous from the water, stop at restaurants or joint the party and relax at the sandbar. It is up to you how to enjoy this huge playground. Maximum people on board is 7, minimum is 1. Advertised price is per boat. No boating experience is required for this boat. After some simple instructions, you will be ready to captain your boat! Please arrive 30 minutes before your scheduled time to check in and get boating and safety instruction.In case of late arrival, we are not able to extend your rental time. We wish you a great boating experience!